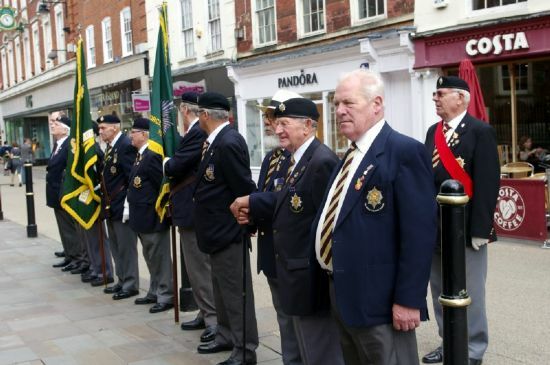 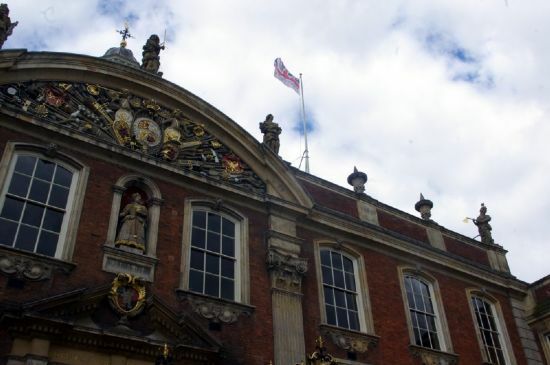 The Armed Forces Flag was raised above the Guildhall, Worcester to mark the commencement of Armed Forces Week. 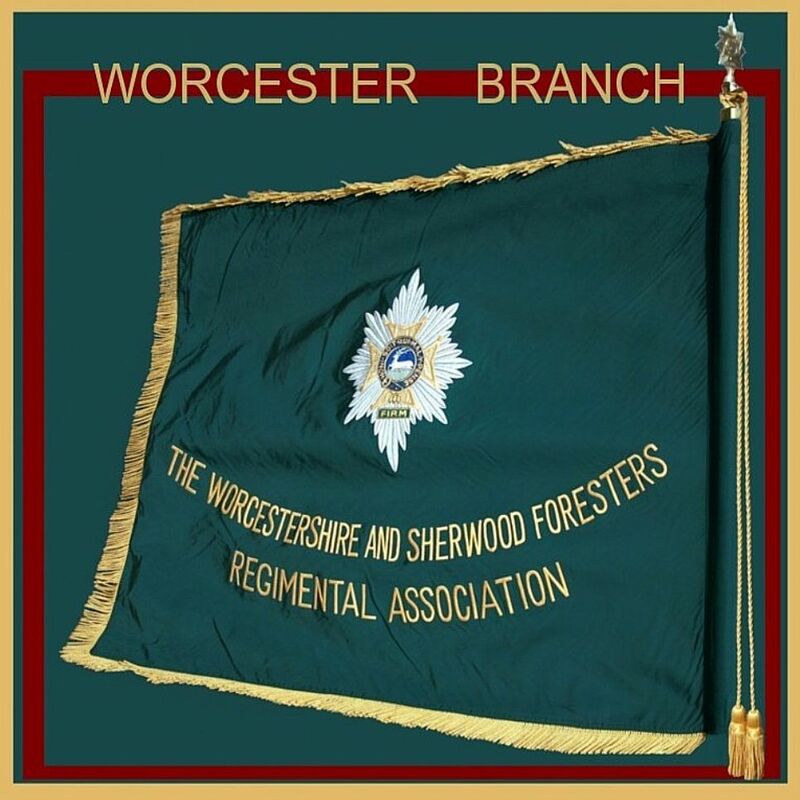 Worcester Branch Standards were on parade along with some of the branch members. 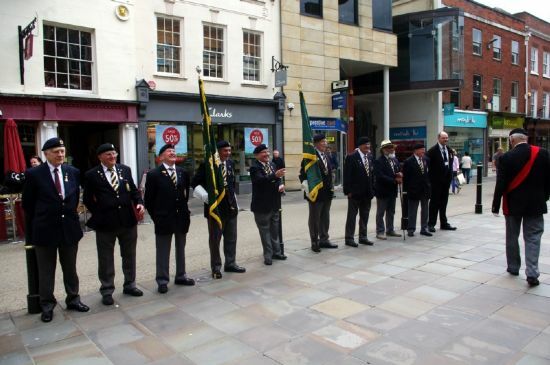 Thanks to Nobby Clarke for sending in the photos. 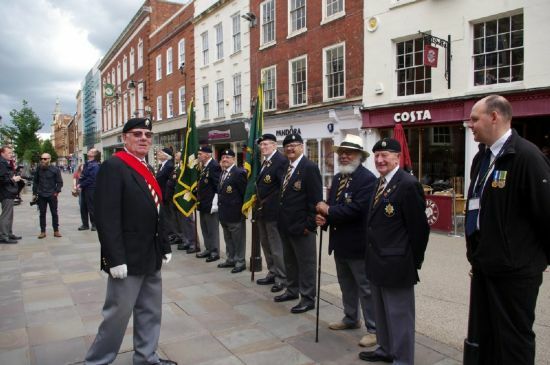 front , Cyril Davis(parade Marshall), R <, Mark Harding, Brian Hewlett, Des Singh, Val Easterlow, Neville Fairbairn. 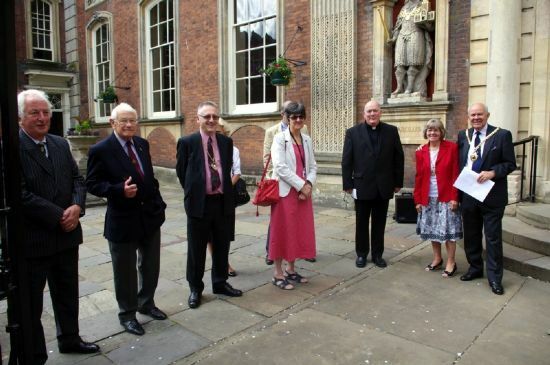 R < , Roger Knight Mayor Worcester, Freda Knight. 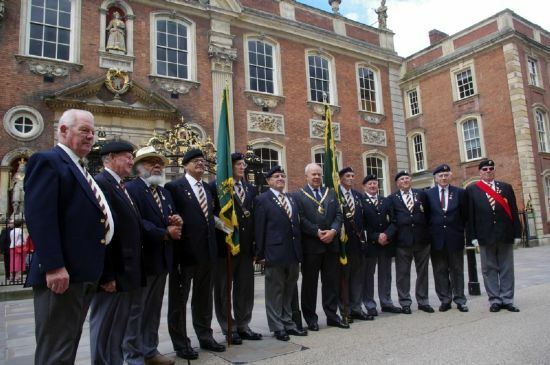 L > , Nobby Clarke, Brian Hewlett, Des Singh, Val Easterlow, Neville Fairbairn, Harry Massam, Worcester Mayor Roger Knight, Alan Fish, John Hewlett, Jim Barnes, Tony Webb.